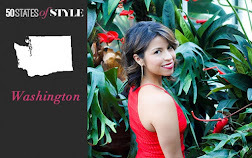 ALIXROSE SPONSORS SEATTLE'S FIRST CLOTHING SWAP - THANKS TO BOUTIQUE CULTURE! Yes, a CLOTHING SWAP is hitting Seattle! So no more excuses organize that closet and get your clothes ready for December 6th. 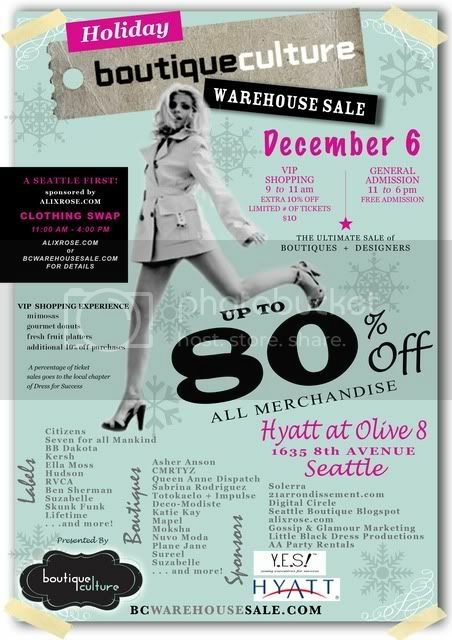 The event takes place at the Hyatt Olive 8 from 11am to 4pm in conjunction with the Boutique Culture Warehouse Sale. Details, below the flyer. It all kicks off with a VIP Shopping. You will be able to sip mimosas, nibble gourmet donuts by Frosty and fresh fruit while having a first look at the sale items with an extra 10% off. When going through your closets, dresser, storage, even under the bed keep this in mind. Swappable items include quality wardrobe items that you'd typically consign or donate. Items must be CLEAN and in very good condition . All unclaimed items will be donated to a non-profit dedicated to providing clothes to people in need. When I came to Kim, Boutique Culture with this idea I don't know if I really thought it would actually happen. So I am excited and thankful to Kim for making this event possible. I know I will be going through my closet this weekend and I hope you will be too. Can't wait to see you on December 6th! Congrats and so glad to see this is happening! Love the not allowed part...you should also add animal carcasses...just for fun. Well done, Alix! Proud to know you! Heehee. Jordie - Thanks for your support doll. You know what that might be a valid addition. LOL! Adam - LOL! It feels like I really do know you, crazy I know! Thanks!